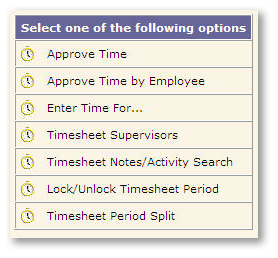 This screen is where a manager / supervisor approves employee timesheets. 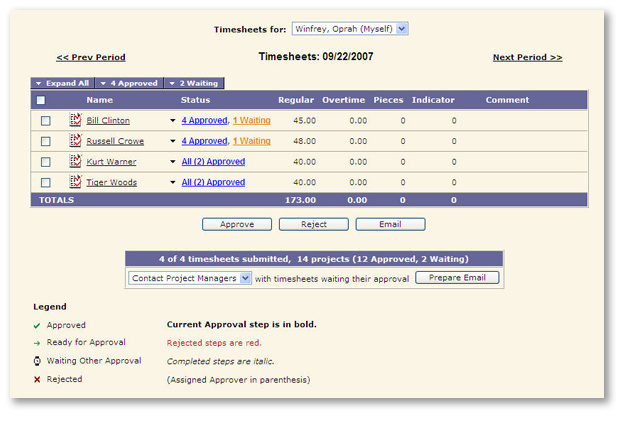 Simple, efficient and easy to use layout makes timesheet approval fast. The actions that can be performed on a timesheet.